​Super agent Mino Raiola has claimed that his client Moise Kean nearly left Juventus in January to join Serie A rivals AC Milan. The 19-year-old Italian became the youngest player to score for Italy since 1958 when he netted against Finland this weekend, and was singled out for high praise by Azzurri manager Roberto Mancini. However, Kean's Juventus contract runs out next summer with the young forward only playing for the Old Lady four times in Serie A this season, and is behind the likes of Cristiano Ronaldo and Mario Mandzukic in the pecking order. "There are several assessments to be made, the boy must always play," Raiola said, as reported by Corriere dello sport. He added: "I almost brought him to AC Milan in January, Leonardo and I had done it all but Juve didn't want it to happen. "Renewal with the club? At the moment, there is a stalemate. The boy has the obligation to always play." 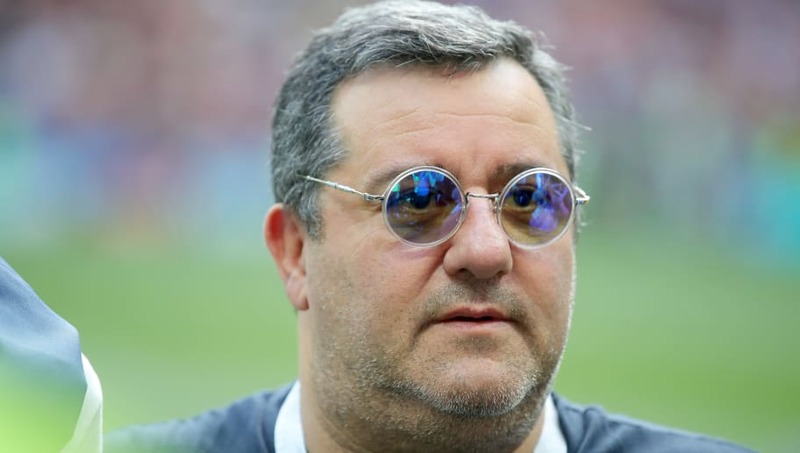 Raiola also gave his thoughts on Milan goalkeeper Gianluigi Donnarumma's contract situation. The 20-year-old wonderkid, who has been described as the next Gianluigi Buffon, only has a deal at the San Siro until 2021, but his agent believes that his future still lies with the Rossoneri. Raiola also commented on some of his other famous clients, stating: "Donnarumma? He will renew with Milan. [Mario] Balotelli has the obligation to return to the national team and team up with Kean. [Lorenzo] Insigne? I will speak with De Laurentiis,"
The 51-year-old agent is best known in this country for upsetting Sir Alex Ferguson over his role in his prized client Paul Pogba's original Manchester United departure in 2012. Ferguson infamously called him a ****bag after Juventus paid just £1m for the Frenchman, something which the legendary manager still blames the Italian born agent for today.